BOULDER, Colorado – Dec 14, 2018 – The Spaceflight SSO-A SmallSat Express mission successfully launched from Vandenburg Airforce Base in California on Monday, December 3rd. 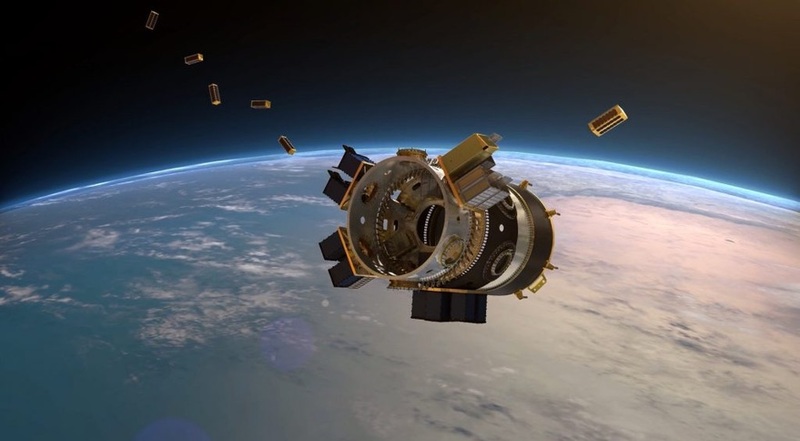 The small satellites hitched a ride on the SpaceX Falcon 9 launch vehicle and are now in sun-synchronous orbit. To date, this is the largest single rideshare mission from a U.S.-based launch vehicle. Of the 64 spacecraft that launched into low Earth orbit (LEO), Blue Canyon Technologies (BCT) either fully manufactured the spacecraft bus or provided components for 11 of the small satellites, which support a variety of NASA, Department of Defense and commercial applications. Working with the Laboratory for Atmospheric and Space Physics (LASP) team at the University of Colorado at Boulder, BCT manufactured a 6U CubeSat for the Compact Spectral Irradiance Monitor Flight Demonstration (CSIM) mission. BCT’s 6U spacecraft bus is a state-of-the-art, high-performance CubeSat platform that maximizes available payload volume. The spacecraft includes ultra-high-performance pointing accuracy, robust power system, command and data handling, RF communications, optional propulsion, and multiple flexible payload interfaces. The BCT XB Spacecraft family provides a complete solution for payload needs ranging from a 3U CubeSat to ESPA-class. BCT provided high-performance components for several of the small satellites as well. The US Air Force-led STPSat-5 mission and another commercial customer utilized BCT’s FleXcore ADCS system – a highly capable and low-cost attitude control system for microsatellite-sized spacecraft. BCT’s standard XACT Attitude Control System was provided for a 3U CubeSat called MinXSS-2, a mission developed at the University of Colorado at Boulder. The XACT provided control for other commercial and government customers in addition to MinXSS. BCT’s advanced Nano Star Tracker (NST) was integrated with other hardware on the US Air Force’s FalconSat 6 satellite.